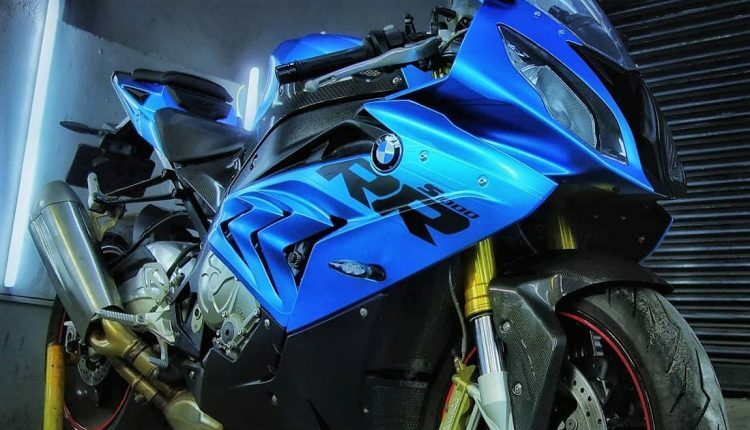 BMW S1000RR is one among the most impressive liter-class sportbikes of all time. The unique design lines and asymmetrical headlights are two major things that attract buyers to the popular motorcycle. 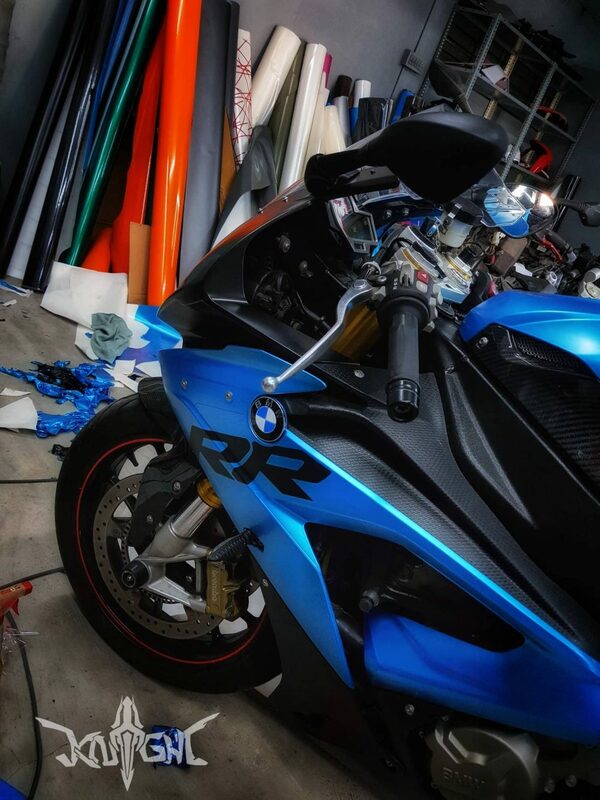 Available in just Red, Black and Signature BMW HP Race inspired shade as stock, Knight Auto Customizer has finished the motorcycle in a unique shade of Avery Dennison Satin Metallic Bright Blue. 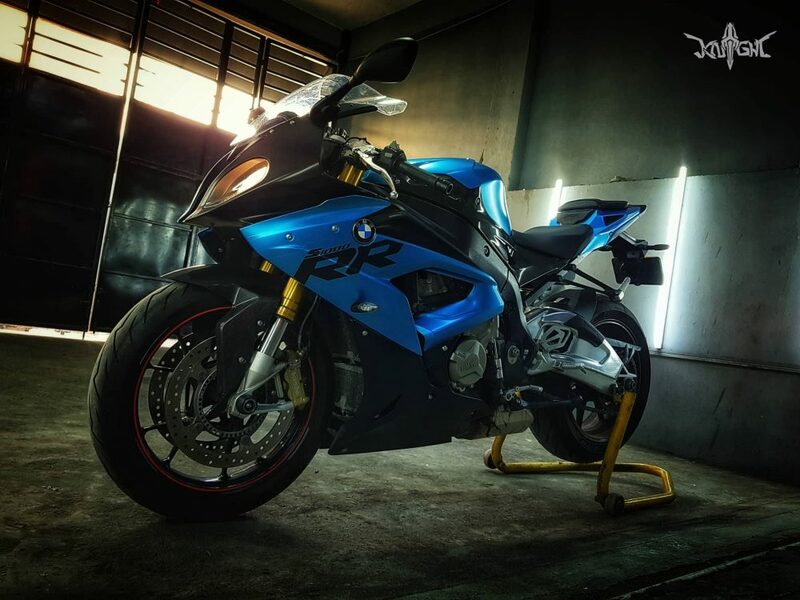 It took 4 days to wrap the superbike and the owner spent INR 15,000 on this beautiful wrap. The results are totally worth drooling for a while! 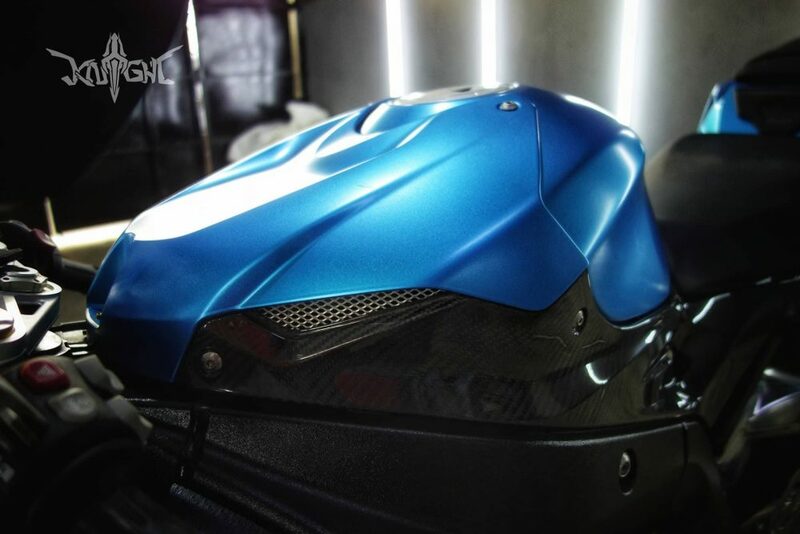 The lower half of the fairing is left black while the upper section is wrapped blue for a premium feel. The fuel tank also flaunts carbon fiber finish that flows right until the front under seat panel. 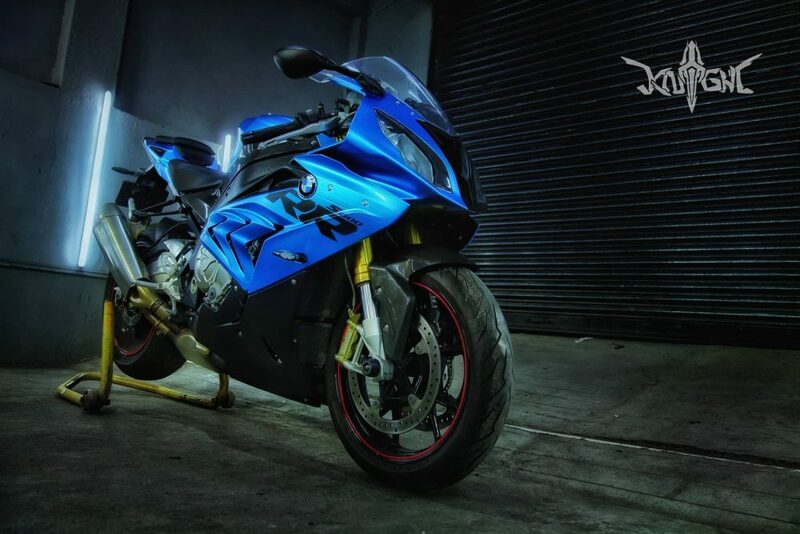 The sharp tail section of S1000RR is also seen with the same Satin Blue finish. The new wrap matches the golden front forks of the motorcycle. The pinstripes and rear monoshock are left Red for the perfect contrast. 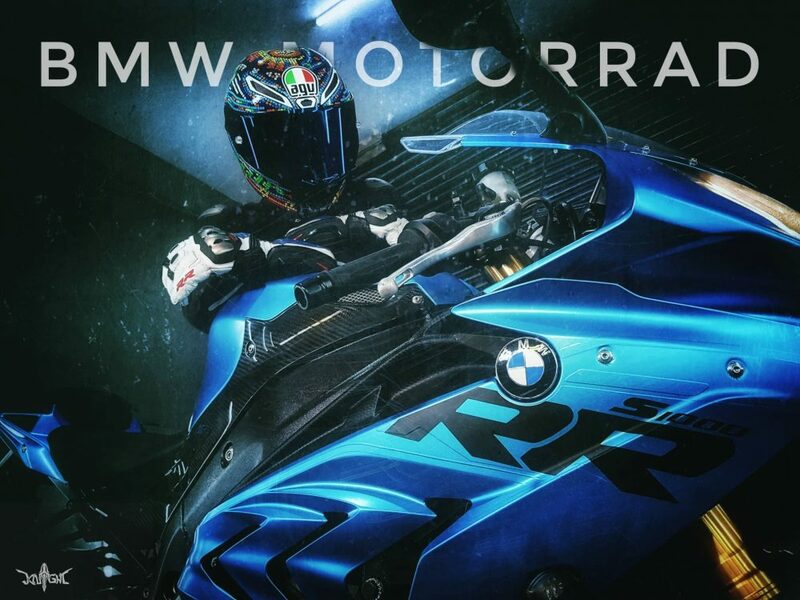 The rider seems to be a big BMW RR series fan as some images show the rider with a matching riding kit with RR branding. 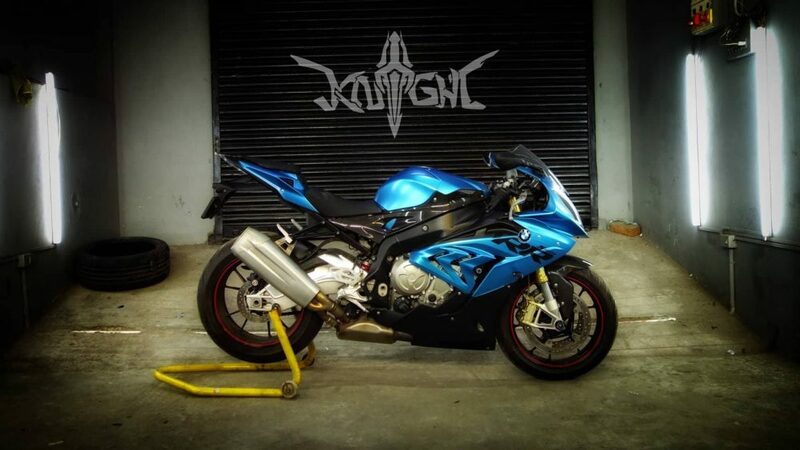 BMW is yet to announce an upgrade to the S1000 series and they will soon lose the unsymmetrical headlight feature. 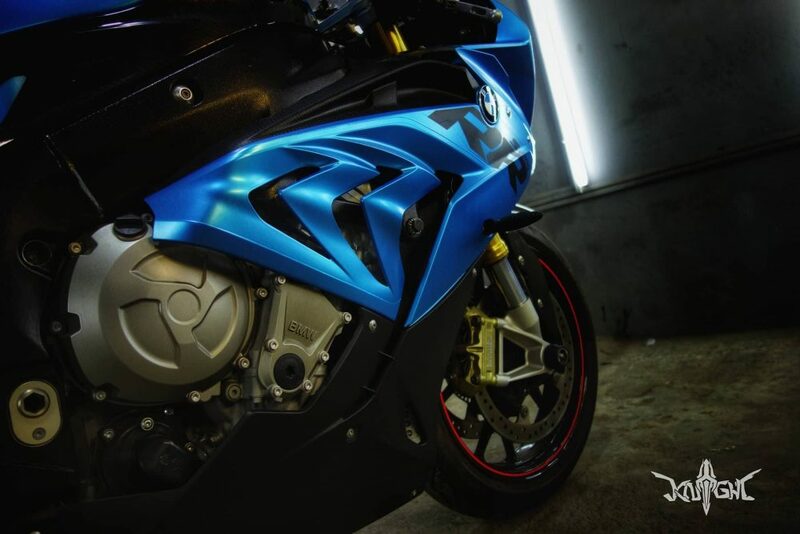 The upgrade will feature an even lighter body with more power than most bikes of this segment. The new trend of claiming around 215 HP can also force BMW to enter the league with the 2019 variant. 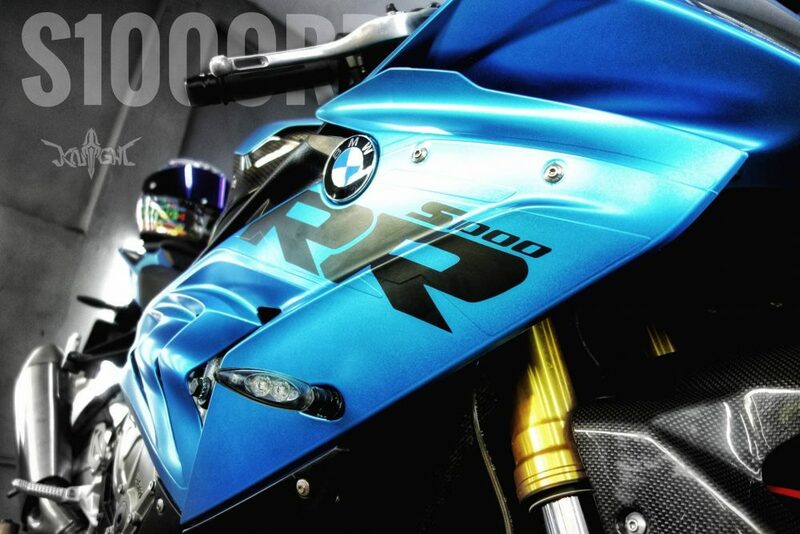 Also, they will update the S1000R with a new design and decently tuned engine for a naked motorcycle. 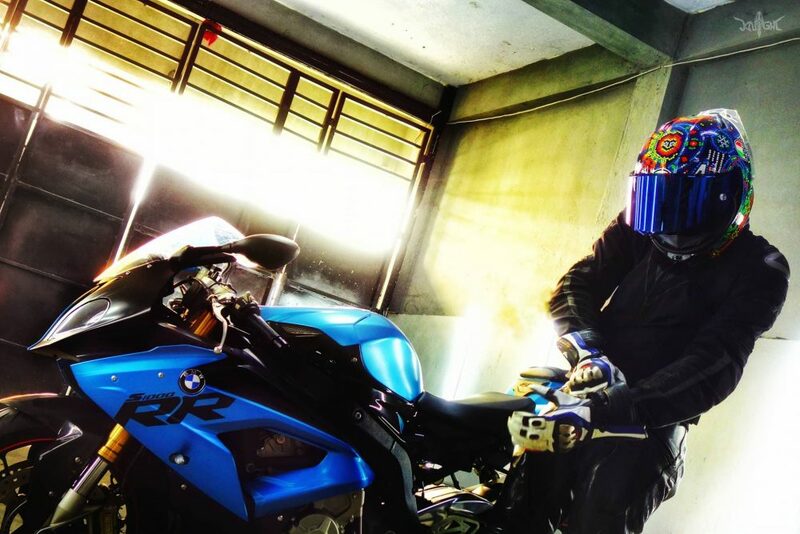 The present generation motorcycle uses a 999cc, inline-4 engine, producing 199HP at 13,500 rpm and 113 Nm at 10,500 rpm. The engine comes mated to a 6-speed gearbox with a slipper clutch as standard. 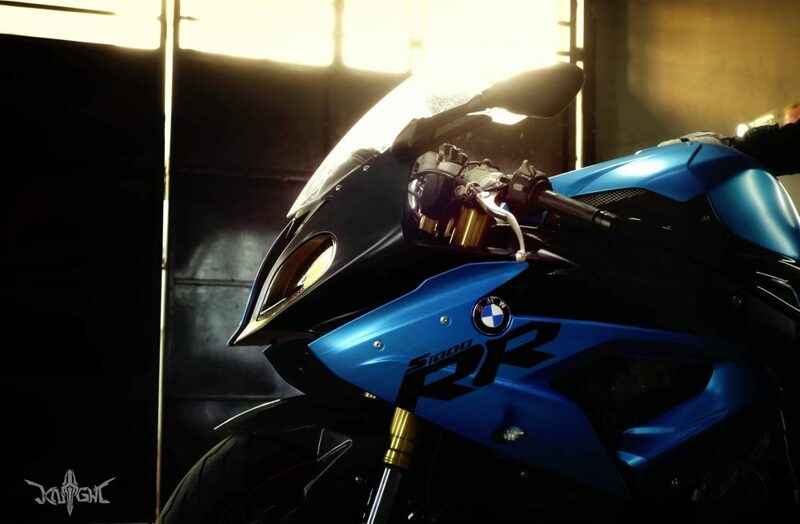 BMW S1000RR features a quickshifter, riding modes and more equipment as standard.